San Diego is a diverse community of people and talent. Typically known as destination for tourism, food, beer and over 70 miles of beaches, San Diego also thrives as a startup hub. The startup community includes high-tech, biotech, cleantech, research, medicine and defense industries. A growing segment of the startup scene in San Diego is female entrepreneurship. Coworking is thriving in San Diego. There are a growing number of coworking spaces serving the diversity San Diego. Collaborative communities support wide range of entrepreneurial endeavors. Makerspaces provide tools and space for creators. Specialized lab/work spaces designed for development needs of biotech and high-tech startups. San Diego Coworking Alliance is a great resource to check out San Diego’s finest coworking spaces. SaaSMax A cloud based app matchmaker and reseller. TAGit A social registry for discovering and purchasing items from favorite TV shows. DonationMatch.com A self-service platform streamlining how products reach local community events and target audiences. CleverPet Transforms what it means for your pet to stay home alone. Inovadrone Devlops advanced professional unmanned Aerial Systems for the Global Commercial UAS Market. San Diego is home to a large eco-system of support. Opportunities include accelerators, incubators and non-profit organizations dedicated to helping startups and entrepreneurs grow. Qualcomm Robotics – A new, innovative program powered by Qualcomm and Techstars. Ten robotics companies are invited to San Diego to take part in the 16 week program. Each company receives $120, 000 in funding and access to Qualcomm Robotics resources and leadership. Current projects range from inexpensive robotic arms to robot training dogs and drones. EvoNexus – San Diego’s technology hub provides pro-bono space and support to early stage entrepreneurs. Since inception in 2009, EvoNexus raised more than 625M in income, added 1000 new jobs and is currently incubating 55 companies. San Diego Entrepreneurs Exchange (SDEE) – SDEE supports early stage technology startups and new entrepreneurial companies. Networking and educational events hosted by passionate local entrepreneurs develop entrepreneurial skills. Creating jobs, business and bringing funding to the San Diego area are primary goals of the organization. San Diego Startup Week (SDSW) – Innovation, creativity, and entrepreneurialism come together for a week of collaboration and education. The 2015 program introduces tracks designed to compliment the startup lifecycle of an entrepreneur. Events are hosted a coworking spaces and incubators in San Diego. Presenters of the tracks are accomplished leaders in tech, marketing and funding in the region. Startup Weekend – Designers, developers, entrepreneurs, and local experts develop innovative ideas in a 54 hours weekend. Teams create a business model, design and code their product and confirm market validation. 2015 start up weekends covered Robotics and Women owned startups. 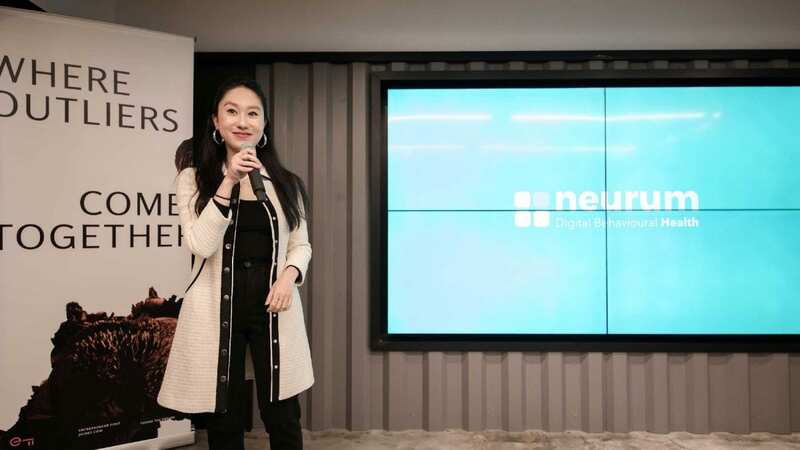 Hera Labs – A unique business accelerator for aspiring entrepreneurial women. The program provides female startups, in all industries, a safe place to test ideas and grow their business. Participants receive mentoring and resources delivered by accomplished entrepreneurial women from the San Diego community. Hera Fund – An all-woman angel group based in San Diego with a mission to increase the number of female angel investors and fund more female entrepreneurs. San Diego is home to several outstanding educational institutions that encourage innovation and entrepreneurship. SDSU Zahn Innovation Center – a commercial and social incubator that supports San Diego State University innovators and aspiring entrepreneurs to transform their ideas into companies. Teams work on commercial and social startups and an social impact projects. ZIC currently hosts over 100 student participants and 40 teams. UCSD Calit2 & Qualcomm Institute Innovation Space – Opened in May 2015, the new innovation space located on the UCSD campus make it easy for startups to access to the brain power, technologies and services on campus. The initial seven partners admitted are seed-stage startups affiliated with UCSD faculty, staff and students. The goal is to rapidly bring scientific ideas to fruition in the form of licenses and startups. High Tech High – San Diego’s high-tech industry starts at a young in an independent charter school. HTH is home to almost 600 students in grades 9-12. Students works closely with the high tech workplace community and leaders. The innovative curriculum includes a robotics lab and a required one month internship with a local business or service organization. Author: Felena Hanson is a long-time entrepreneur and marketing maven. Her latest venture, Hera Hub, is a spa-inspired shared workspace and community for female entrepreneurs who need a productive, professional place to work on a flexible basis. She has three locations in San Diego County and is expanding nationally via a franchise model.